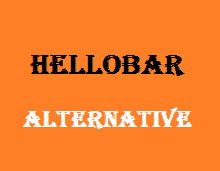 Hello bar is very popular notification plugin which sticks very effectively with header of our WordPress blogs and we can make fix any useful post with this useful plugin on our blogs to get users attention on specific post. There are are two versions of this plugin is available one is free and second is paid. But the one thing which inspired me to search its best alternative because free version is limited to few clicks only and paid version is chargeable per month and i wanted to avoid any monthly cost on use of this plugin. I am very satisfied this free plugins because this gives me many email subscribers to my blog and create the permanent readership for my blog with the number of verified email subscribers. If you want to stick any blog post url instead of any feed burner link then you can add any other post of your blog to increase the page views and reduce the bounce rate of your blog posts. Another important posts related to WordPress are thrive themes review content builder and thrive landing pages also.